The defending race-winning and series-champion No. 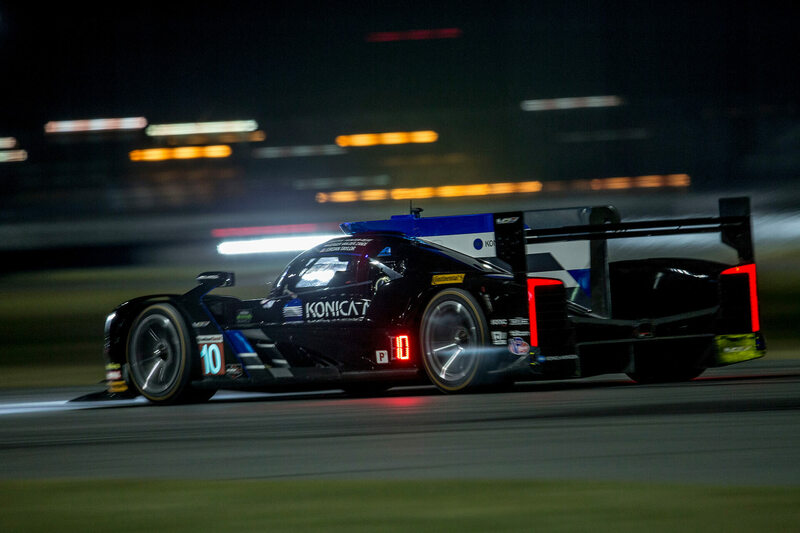 10 Konica Minolta Cadillac DPi-V.R will start the 56th Rolex 24 At Daytona Saturday from the pole after IMSA WeatherTech SportsCar Championship qualifying Thursday at Daytona (Fla.) International Speedway. Renger van der Zande, competing in his first race after joining the team as Jordan Taylor’s full-time co-driver for 2018, turned a fast lap of 1 minute, 36.083 seconds at 133.378 mph around the 3.56-mile, 12-turn superspeedway road course. It came on his last lap of the 15-minute qualifying session and beat former IndyCar driver Helio Castroneves’ best lap by seven-thousandths of a second to earn the top spot in the field of 50 car-and-driver combinations entered for this weekend’s twice-around-the-clock endurance marathon. 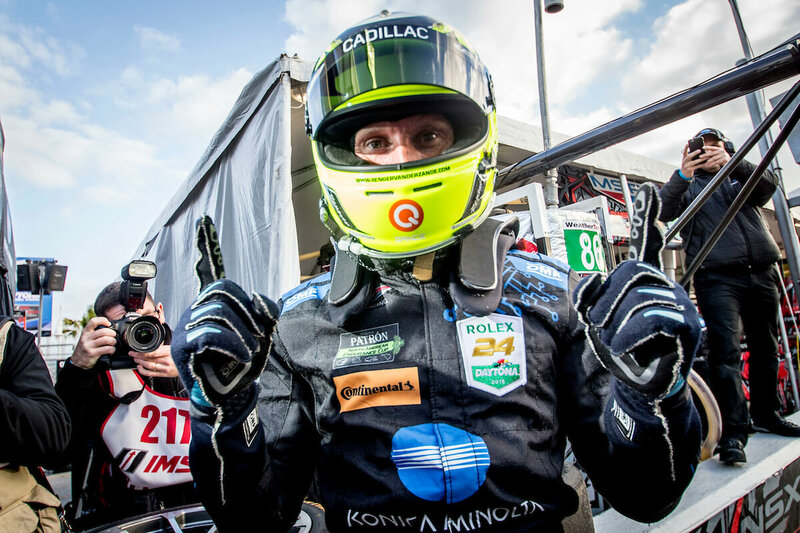 It was the second Rolex 24 pole for the No. 10 team, the first coming in 2010 by the now-retired Italian veteran Max “The Ax” Angelelli, who co-drove to victory in his final career race here last year and the debut race for the No. 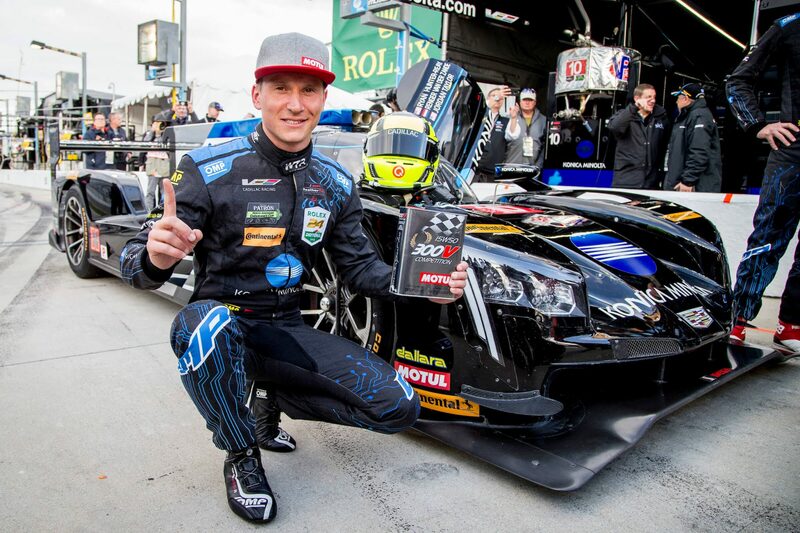 10 Konica Minolta Cadillac DPi-V.R with Taylor, his older brother Ricky Taylor –who departed after last year’s championship season to join Castroneves at Team Penske – and four-time NASCAR Cup Series champion Jeff Gordon.